Excellent service from Ed, Josee and Brittney. Very happy with the overall experience. I would definitively recommend this dealership. They go the extra mile to make the customer happy. My 2018 F150 came down with an electrical issue. I called to see about getting it in to be looked at and was told to drop it off the next day. On my way to Cam Clark, my F150 decided it had enough and did not make it to the dealership. I called the Ford Roadside Assistance and they came out to help me get it the rest of the way there. Once it was diagnosed, it would have to have an extended stay (about 10 days for part to arrive from factory) due to a wiring harness issue, I was provided with exceptional care. My F150 was returned as promised with all work completed and to my surprise it was washed. In the last 11 years we have purchased 6 vehicles from Cam Clark. 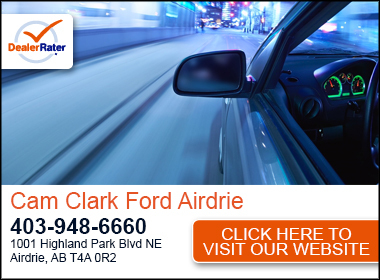 I had never been to Cam Clark Ford as our loyalty is with Metro Ford in Calgary. However I have moved to Airdrie recently and had a leak in my tire and did not want to risk driving into Calgary. I called Cam Clark Ford they told me to bring it in and they would fix it. The people at the front desk on the Quick lane were cheerful and chatty which I liked. They told me it wouldn't take long to have the leak fixed. I sat and waited for only forty minutes, paid my bill went out to my car and found they had also cleaned my windows and gave me a slip for a car wash. Thanks Cam Clark Ford for fantastic treatment. "They took care of me." The service coordinator was efficient, cared about me and followed up promptly with some things that came up while my truck was in for service. "Josee is a Rock Star!" Josee is hands down the most fun and friendly person you will ever meet in a car dealership! She made the whole process fun and painless. 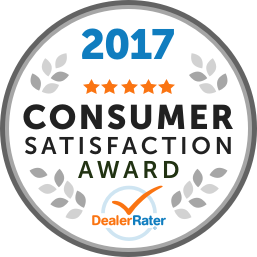 Seriously, if you are considering a vehicle purchase, let this lovely lady take care of the financing process and you will be happy you did! 5 stars all day long for this sweetheart! I brought the truck in for a regular service plus the plug on the block heater had broken off in the cold weather. I was told the block heater had a recall and that was taken care of. Always excellent service every time I come in, the wash at the end is always a great touch. The staff is friendly, kind and helpful. The staff I worked with were friendly, helpful and knowledgeable.. it was a positive, exciting, and a very painless experience, and I would certainly recommend Cam Clark Ford!